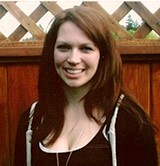 Sadie was born and raised in Whatcom County, has been in Customer Service for over 10 years. At home she has a lively little boy and a baby girl whom both provide loads of entertainment. Sadie enjoys playing and attending Baseball games with her family, and traveling the coast or up Mount Baker whenever she gets the chance. -Go Hawks!